We highly recommend using a WordPress theme when building your website, this way you don’t have to know anything about web design to make a beautiful website. Not only that, but you don’t have to pay much or bother your friend who dabbles in web development. Regardless, you’re almost always going to find a better solution than if you were to trust a friend who wanted to build the website from scratch. Therefore, a WordPress theme is your best route in terms of looking professional. What Features Should An Actor’s Theme Have? 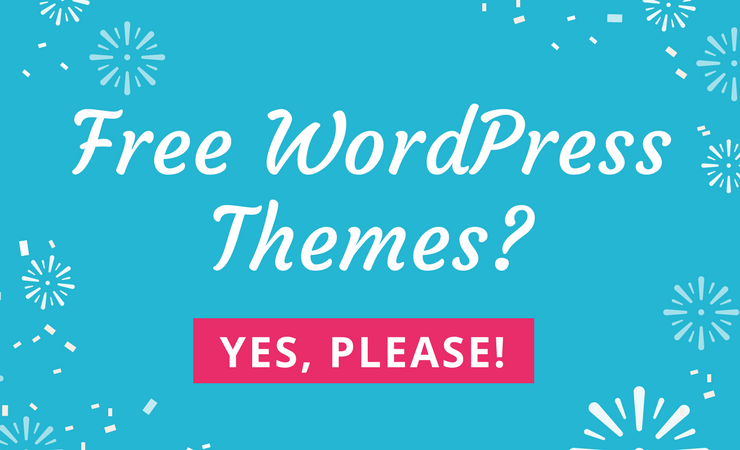 The internet is filled with options for you to choose from, so we put together a list of the ideal WordPress themes for acting types. What are you looking for in these themes? First of all, you’ll need responsive elements for people to view your portfolios on smaller devices. It’s also nice to have strong image and video support, allowing you to quickly upload and host photos and videos from your career. In addition to that, you’ll need resume tools, branding settings, and fields for people to contact you if they want to hire you. An agency website is going to be a little different, but in general, you’ll need similar tools for sharing portfolio pieces for your clients. 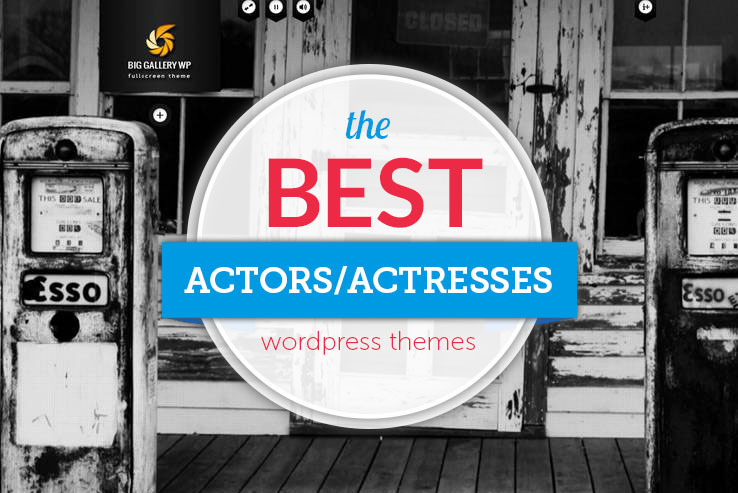 Keep reading to learn more about the best WordPress themes for actors, actresses, models and agencies. Do you know of any actor’s theme that should be on our list? Email us or leave a comment below with any links to themes we missed! 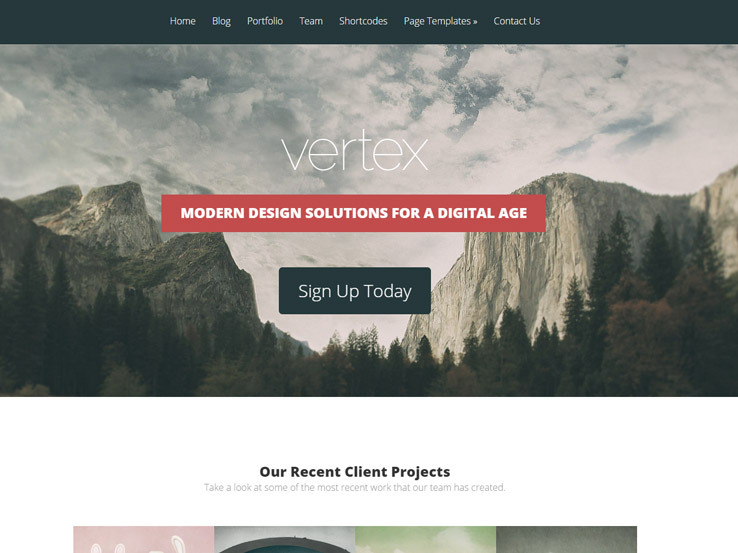 The Almera WordPress theme is one of the top solutions for agencies and creative people alike. 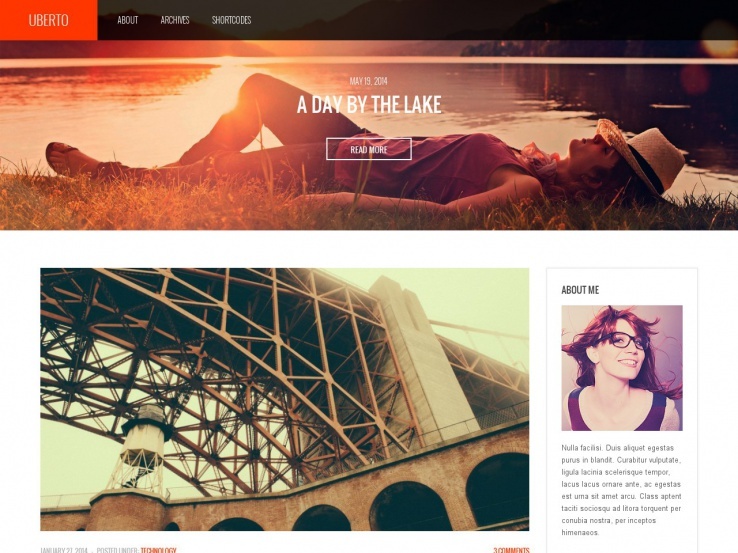 The theme is a two in one platform, letting you choose between AJAX and normal layouts. Four portfolio variations are included and four gallery types come with one album design for portraying your media in an organized fashion. What’s cool is that you gain access to over 20 shortcodes, which make it easier to build elements like buttons and columns without touching any code. Responsiveness is a must as a creative and that is provided with your theme. 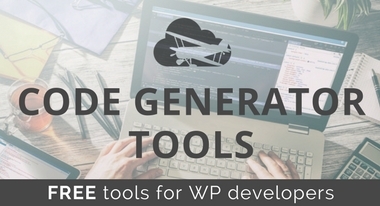 The one-click demo install is a nice touch for beginners and advanced users alike and the layout constructor combines with the editor for a fluent development process. Also, the skin composer assists with designing different skins and reusing them in the future. The homepage is fairly small, using a unique slider to show off some of your best photos. Users can click on these images for a detailed look into certain models and actors. This slider works as a portfolio, using filters for people to quickly find what is most relevant to them. Social media buttons can be placed in a widget area, allowing you to send people to places like Facebook and Twitter. Typography is easy to customize and the blog provides a wonderful place to connect with visitors and show search engines that your content is useful. Along with a contact form, strong galleries, and a sleek design, the Almera WordPress theme comes in as one of our top solutions for actors, models, and agencies. 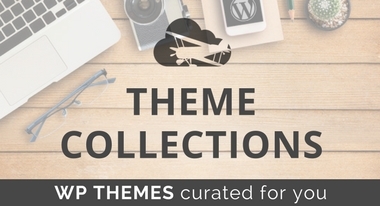 Check out the Gleam WordPress theme if you’ve ever seen the Elegant Themes theme collection. 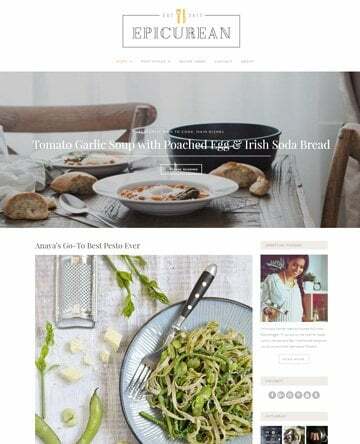 This company is known for its value and style, but keep in mind that you have to signup for an Elegant Themes subscription to gain access to the theme. That said, the subscription is generally the same as you would pay for an individual theme, yet you gain access to all of the themes in the Elegant Themes library. This makes it perfect for developers making lots of sites for clients. The Gleam theme features flashy effects and AJAX loading elements, keeping your site fast and providing a professional design. The responsive design is perfect for people on the go, and the full-screen portfolio section puts the focus on your images that will eventually get you clients. A collection of shortcodes is designed to keep your hands free of any code and the page templates are handy for customization as well. Localization is provided with the theme, enabling you to reach out to anyone who may not speak your language. Also, the navigational menu is consolidated towards the middle of the homepage, creating a unique effect when people scroll over it and saving space for the large full-screen image you can place on the homepage. A website logo sits towards the middle of the page as well, and the blog is stylish and condensed for users to see a wide variety of your posts from the past. Visitors are able to scroll through the portfolio when landing on the page and each of the images shows up in a beautiful, high-resolution format, giving you the ideal look for your art. The Gilda theme was developed for fashion and modeling agencies and it puts most of the focus on your models since the majority of the homepage consists of thumbnail versions of head and body shots. A theme customizer comes along with your purchase and a page builder is designed to help you design pages within seconds. It doesn’t matter if you have lots of development knowledge or none at all because the page builder gets the work done quickly. Image logos and Google Font logos are supported, while the translation-ready nature of the Gilda theme means that anyone who doesn’t speak English can still understand your content. Demo content is included and the responsive nature of the theme means that anyone can see your website no matter which device they’re using. All of your contact information sits at the top of the homepage and social media buttons are customizable. Default sorting is allowed with your model and actor portfolio, helping clients figure out exactly which type of person they would like to hire. Feature your top models in a widget, and use some of the many other widget options for things like recent posts, news, Flickr images, About information, and more. You have the option to sell items through WooCommerce and the navigation menu is organized to display options for kids, men, and women. Feel free to customize your categories, however, because it all depends on the type of agency you’re running. 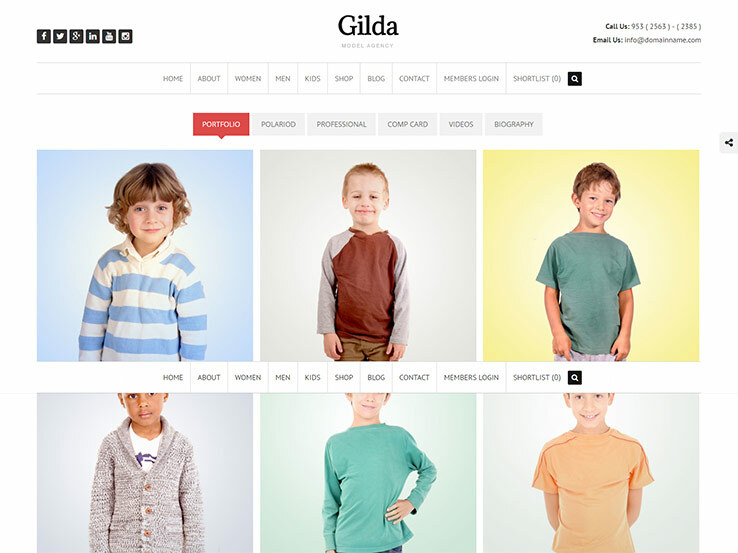 Overall, the Gilda WordPress theme has everything from member logins to contact forms, so give it a try and let us know how it works. 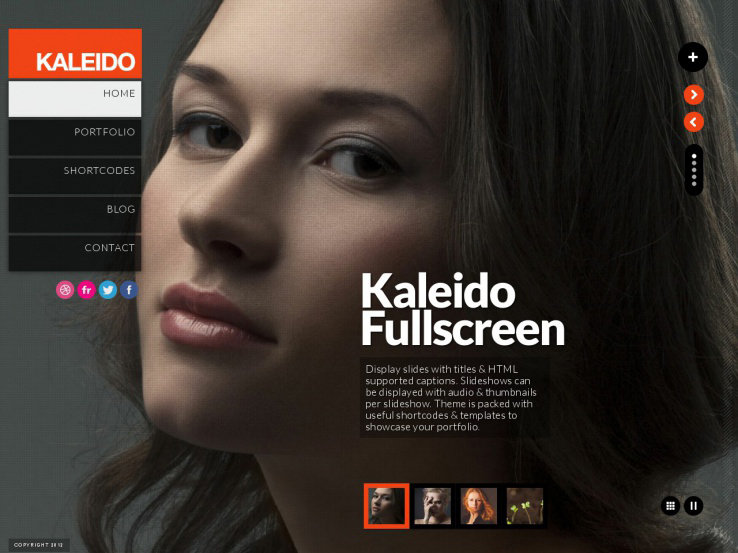 The Kaleido theme is a colorful full-screen website platform for agencies, studios, and individual artists and actors. The theme is responsive for viewing on all devices and it includes a full-screen portfolio for sharing images and videos of people who may be working for your agency. On the other hand, you may simply use this portfolio to show off your best individual work. Select from light or dark shades and use the multiple color options to integrate your brand with your website. You can create unlimited portfolios and work with WooCommerce to sell merchandise if it goes along with your brand. For example, many comedian actors sell shirts and albums after their shows, so this is a great way to do that online. Simply post the items, and when people buy something, the money goes directly into your account. The contact templates are wonderful for keeping in touch with your fans, and over 400 Google Fonts enable you to expand your branding and really find the fonts that work with your style. Advanced theme options are rather easy to use and the shortcodes turn the design process into one that rarely involves touching a line of code. 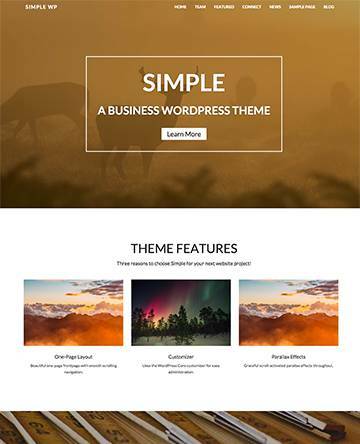 Several post formats are included with the Kaleido WordPress theme. You can create posts that show audio, video, galleries, quotes or links. We really enjoy this theme for individual actors, because it has a large image on the homepage and the portfolio is just a click away. Not only does the Kaleido theme have tons of visual elements, but the social media buttons are easy to implement and manipulate. Along with a blog, contact form and a fullscreen toggle button, the Kaleido WordPress theme is a modern take on the traditional actor website. Consider the Vertex theme if you’ve been thinking about signing up for the Elegant Themes membership. The theme has some beautiful elements, including unlimited colors for branding perfection. The large header image is used as a parallax background, which is known to grab the attention without slowing down your site with tons of animations. The parallax header includes overlaying text and buttons for calls to action and the shortcodes come in handy for those who want to quickly design items without code. The theme is responsive, but the coolest module for actors is the portfolio, with thumbnail images, links, and descriptions. Show off testimonials from people who have worked with you in the past, and even share pictures of your team if you work with other folks. The page templates work well for those who want variety on their website, while the contact form is perfect for those who want to hire you or for your fans to get in touch with you. The Botanic theme is a great choice for actors, models, and other creatives since it has a beautiful design that looks similar to a head shot or a resume that one might give to a casting agent. The setup is structured to put all of the focus on the artist, with a large list of visual blog posts featured on the homepage. You can write blog posts about your profession and share information about the work you have done in the past. This is not exactly a portfolio theme, but we recommend you integrating it with a portfolio plugin for the best effect. Overall, we like it best for those who would like to consistently update people on what’s going on in their career. A logo and search bar are located towards the top of the site and the sidebar is made up of several widgets. You can have one of the widgets feature information about yourself, which is perfect for sharing your acting experience. Another widget features your Twitter feed, which may come in handy if you become an actor or model with a following. It’s one of the main ways to communicate with your fans online and many comedians, actors, and all famous people are using Twitter for that purpose. 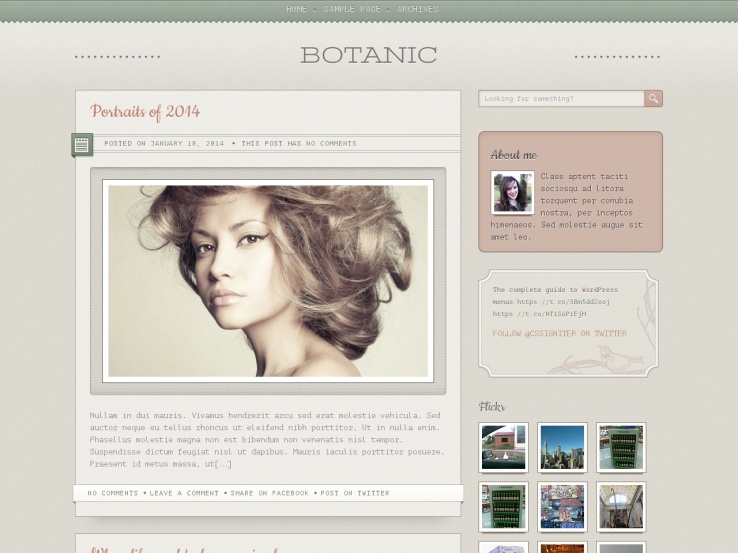 The theme also includes a Flickr gallery as a widget, giving you a chance to expand on the images you post online. 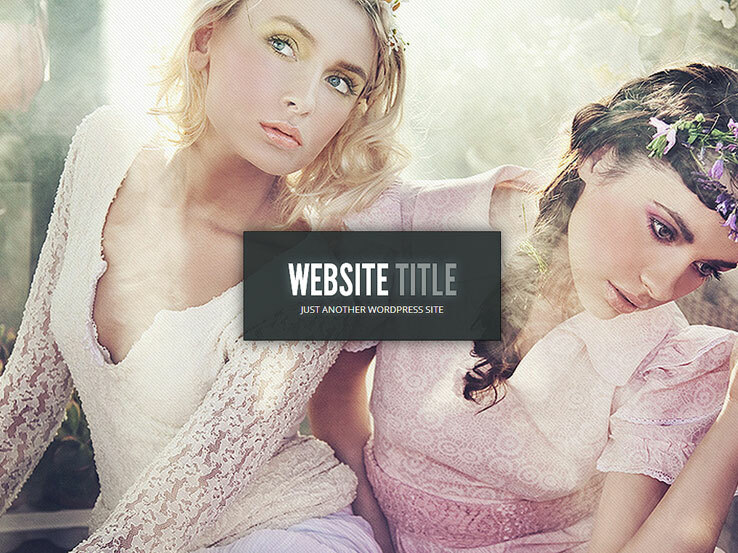 Overall, this theme is catered to those who want a responsive, image-heavy website. It has a truly unique layout with lots of post formats. The custom widgets are some of the best we’ve seen, so give it a try today. 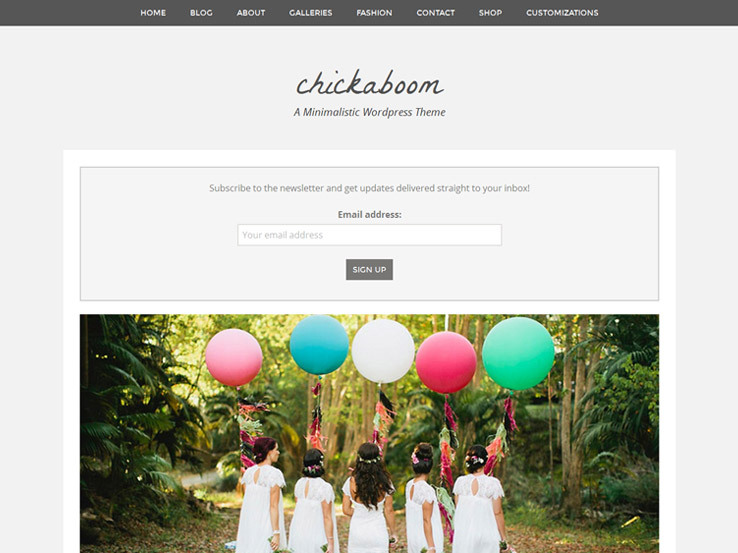 Chickaboom is a feminine WordPress theme that’s perfect for any actress or a model who wants a website with the ultimate level of sophistication. 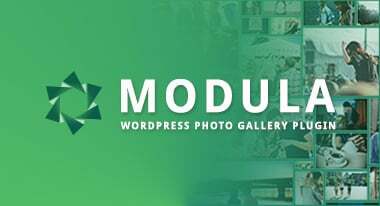 The theme features several different gallery options which are perfect for sharing your portfolio and photos from fashion shoots or movie sets. It also integrates beautifully with WooCommerce in case you have your own branded merchandise that you’d like to sell. 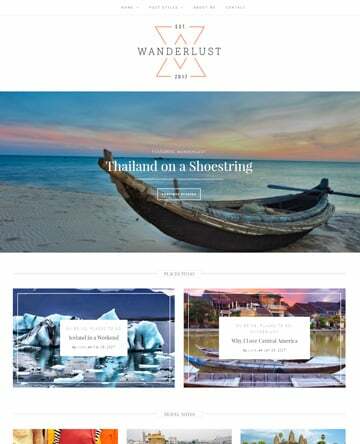 The theme is easy to customize on the backend and you can change your site width, content width, and control every font, image, and color of your site. You can also display a prominent opt-in email newsletter box on your homepage and easily grow your email list and stay in touch with your fans. Along with responsive design and SEO optimization, the Chickaboom theme is definitely worth checking out. Consider the Resume theme if you’d like to stand out from the competition. The theme features vibrant colors and bold typography that’s sure to capture the attention of anyone who lands on your website. You can easily share information about yourself and include stylish portfolio of your past experience. A blog page is also included so potential agents know what you’re up to at any given moment. The theme also comes with smooth transitions and effects to make your site more visually appealing. 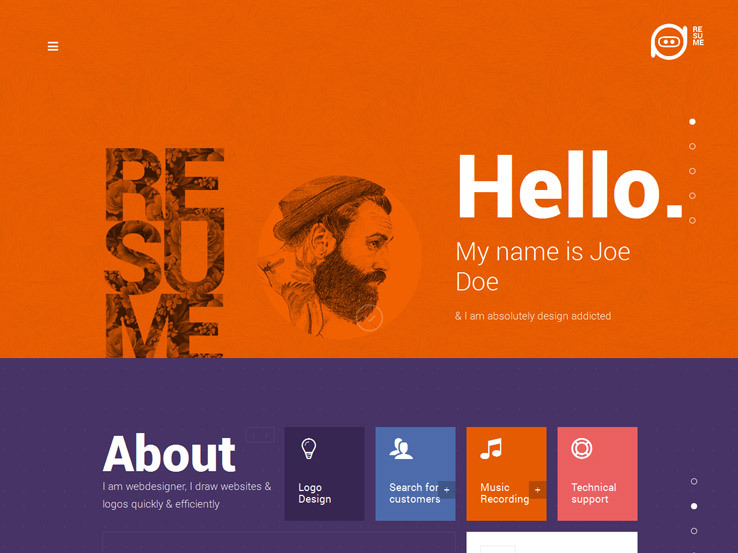 The Resume theme is completely responsive which ensures your website will look great on just about any device. FontAwesome icons are included as well as lots of advanced features that allow you to showcase your works, skills, awards, testimonials, and more. On top of that, the theme is cross-browser compatible and includes the powerful Tesla Framework which allows you to customize your website completely to your liking without ever touching a single line of code. 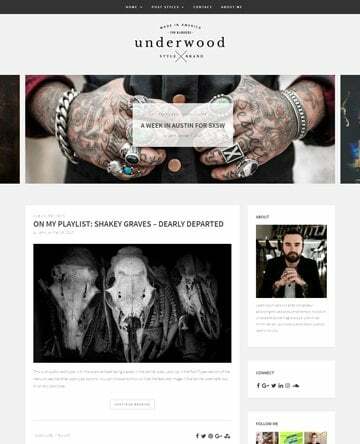 Uberto is marketed as a blogging theme but it features a high focus on imagery which makes it a perfect choice for any actor that wants to show their experience through images and words. A large header image is a great place to include a call to action and social media links in the sidebar make it easy for potential fans and agents to get in touch with you and follow you on places like Facebook and Twitter. The theme is rather minimal which puts your content into main focus and it comes with several custom widgets to add more content variety. You can also embed video and audio posts and choose between multiple color schemes or even assign a different color scheme for each page. Along with responsive design, full Jetpack support, and localization files, the Uberto theme is an interesting minimalistic theme worth checking out.